This entry was posted in Education, Gem Sources, Gemstone Spotlight, Industry News, Travels for Jewelry and Gemstones and tagged Collecible Gems, gems at large, gemstones, John and Laura Ramsey, laura ramsey, ramseygems, Ramseygems.com, Red Spinel, Spinel, Sri Lankan Gems by John and Laura. Bookmark the permalink. John and Laura, thank you for your post on this beautiful special gem–one of my favorites! I’m glad to hear that spinel is gaining recognition and popularity in its own right and that people are becoming aware that natural varieties exist, because synthetic spinel is so common. 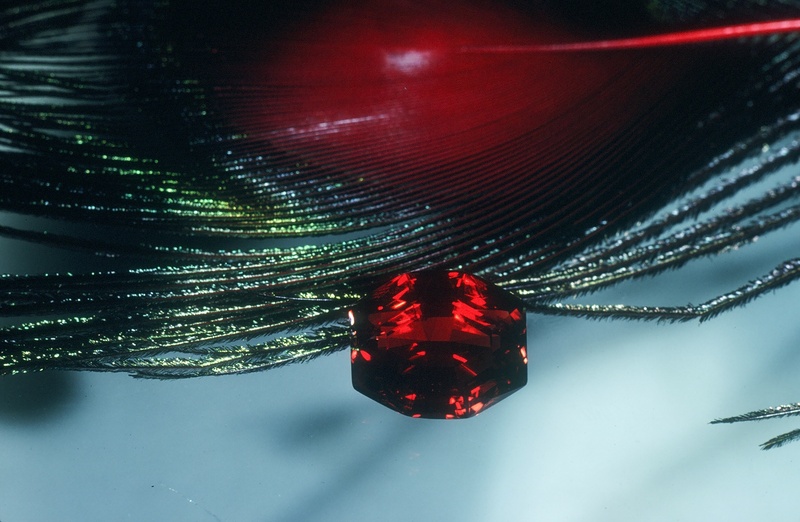 Is it true that red spinel is never heat treated, as many rubies are? Do the natural stones undergo any kind of enhancement treatment? Gail— there is still a very little consensus about the treatment of spinal. Until the last few years there was not much evidence that heat treating would help spinal at all. Some spinal found along with ruby may have been treated inadvertently. Still, color does not seem to be improved by treatment. Some stones from East Africa that had poor clarity out of the mine might have been treated but that is still up in the air. John and Laura, thank you for answering my question, and this is very interesting! I had read that spinel is never heat treated but I’m not surprised to hear from you it’s actually more complicated. In any case, I adore the red spinel ring I purchased from you 20 yr ago and I’m thrilled to have such a precious and rare gem in my collection! I recall that in one of your TV appearances you compared it to the color of the begonia flower (mix of red & pink) and it’s spot-on true! John and Laura, I’m very excited to hear that!!! I could never afford a Burmese ruby of similar size and quality (my birthstone) so the spinel ring is especially precious to me. The diamonds in the ring are equally beautiful. It was expensive when I purchased it many years ago, but I’m so glad I took advantage of a once in a lifetime opportunity. It’s like you say, stretching to buy the best gem you almost can’t afford pays off down the road!